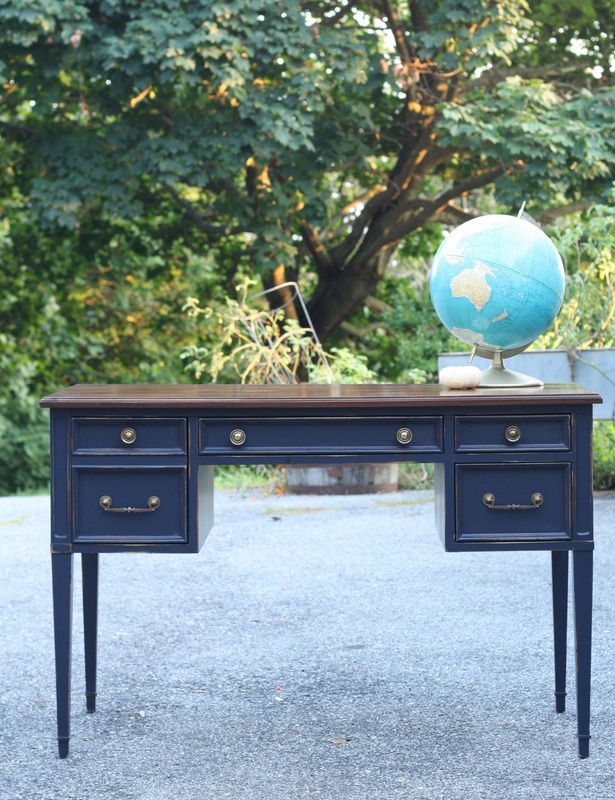 Cassie of Primitive & Proper﻿ found this vintage desk at a yard sale and decided to give it a new look. She gave it a light sanding and stained the top with GF Java Gel Stain. The base was painted with 2 coats of GF Coastal Blue Milk Paint. For protection and durability Cassie used our water based High Performance Top Coat in flat. The finished look is great! As of now, this piece is still available at Sweet Clover﻿. Hurry in and give him a new home!